A decision-focused evaluation (DFE) is an experimental (or quasi-experimental) evaluation to estimate the causal impact of a policy, program, or intervention on one or more outcomes of interest. IDinsight designs and implements DFEs to inform client decisions such as which version of an intervention to continue, whether to scale up a particular program, and whether to continue funding a particular implementer or program. Impact can be defined relative to the status quo, or to an alternate intervention being considered. The Service: Non-monetary “mama kit” gifts, provided to pregnant mothers conditional on delivering in a health facility, have been used by several actors in Zambia to incentivize institutional delivery. Working with the Zambian Ministry of Health, IDinsight designed and implemented a clustered randomized controlled trial (supplemented with qualitative inquiry and cost-effectiveness modeling) to generate rigorous evidence about ideal mama kit contents, operations and cost-effectiveness. This led to a recommendation and decision to include low-cost versions of the mama kits in the Zambian essential medicines list for new mothers. 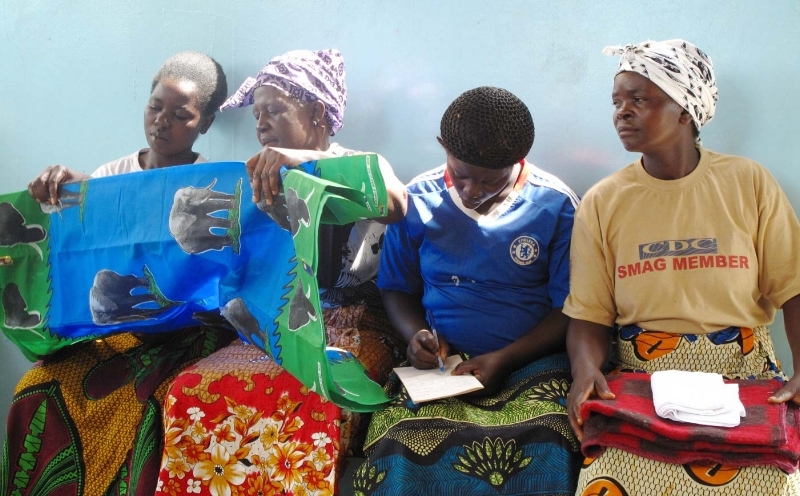 Zambian mothers examine the contents in their “mama kits”.